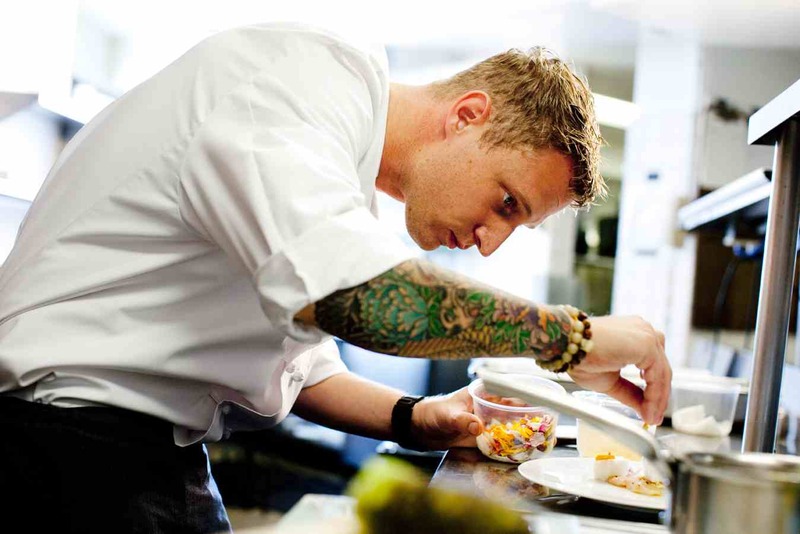 at 31 years old, michael voltaggio follows in his older brother's footsteps in the way of being a highly accomplished chef at such a young age, in such a short period of time. he has worked in restaurants since he was 15, and he has studied under several celebrity chefs. the majority of his training has been in european fine dining kitchens with an emphasis on modern technique, flavor, and presentation. he has helmed such kitchens as the historic greenbrier in west virginia, charlie palmer's dry creek kitchen in healdsburg, and garnering a four-star review for being executive chef at bazaar by jose andres in los angeles. he has also worked as the chef de cuisine at the dining room at the langham, huntington hotel & spa in pasadena, california. michael describes his style of cooking as sophisticated american cuisine utilizing modern technology and classic disciplines of cooking. 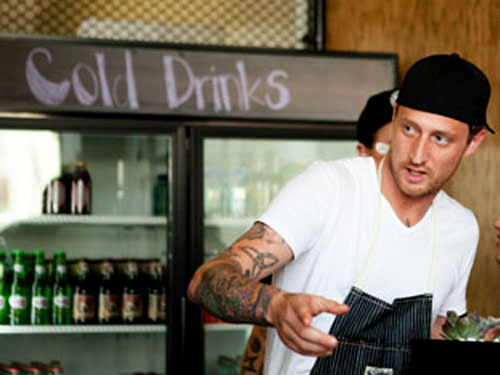 voltaggio was a finalist for the james beard "best new restaurant" award in 2009. that same year, he also earned the title of top chef on bravo tv's emmy-award-winning show. he has established a reputation for what critics heralded as "serious" food that is playful, visually stunning and flawlessly executed. he was also named "best new chef" by angeleno magazine in 2010, cementing a place withing the los anegeles culinary community. ink. 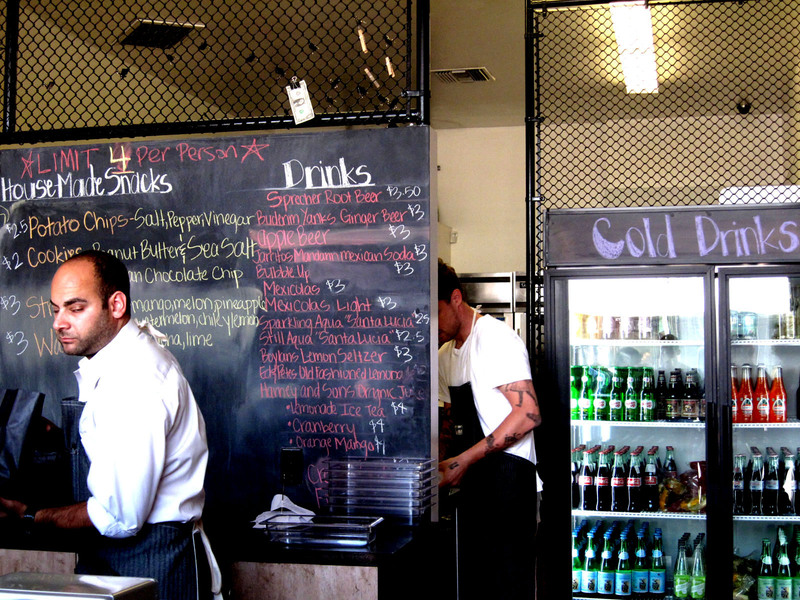 is chef michael voltaggio's first signature restaurant. alluding to the idea of permanence, ink. endeavors to create an indelible impression with flavor profiles that are inspired by the myriad of cultures that make up the city of los angeles. thusly, he describes the food at ink. as "modern los angeles cuisine" and aspires to create an experience that will repurpose the term "fine dining" for angelenos. 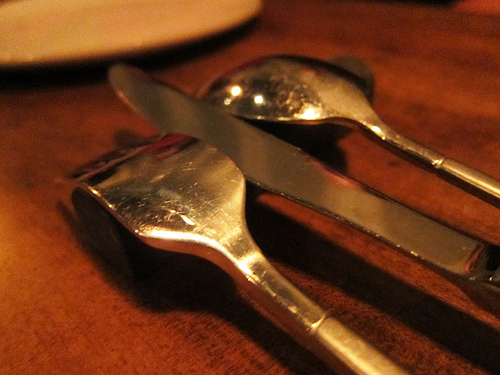 i for sure want to go back so i can try the chef's course menu next time! this casual sandwich shop wins my heart with their top-notch sandwiches! but if ink sack was next to me, i would go here all the time for lunch! this was half of the line, first weekend it opened!!! were too many people that were watching;; haha! 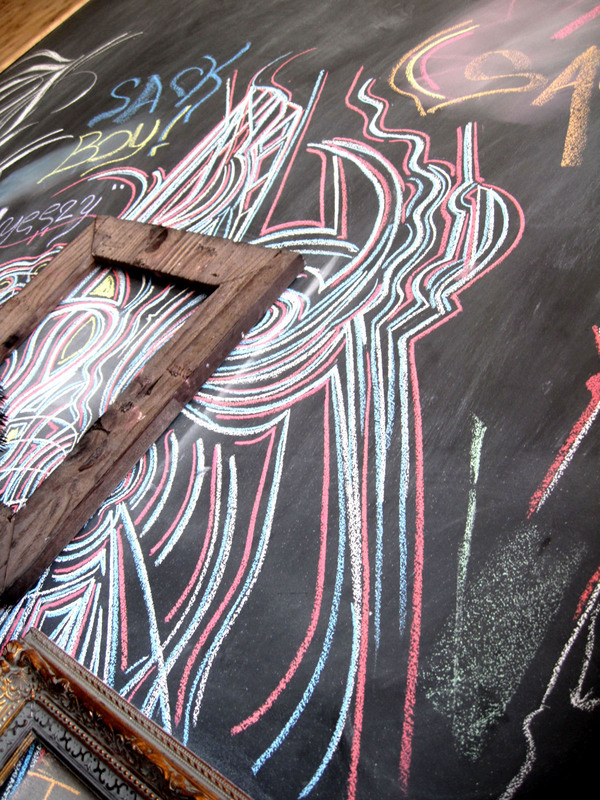 love the use of chalkboard! 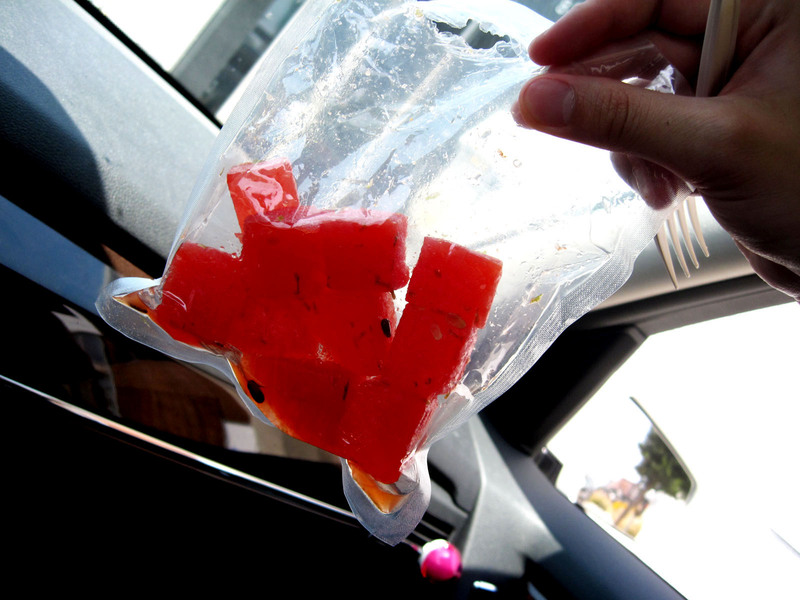 they lunch-baggy your sandwiches! aren't they cuuute! sandwichese are small ~4'' but they are FILLING! but my favorite? 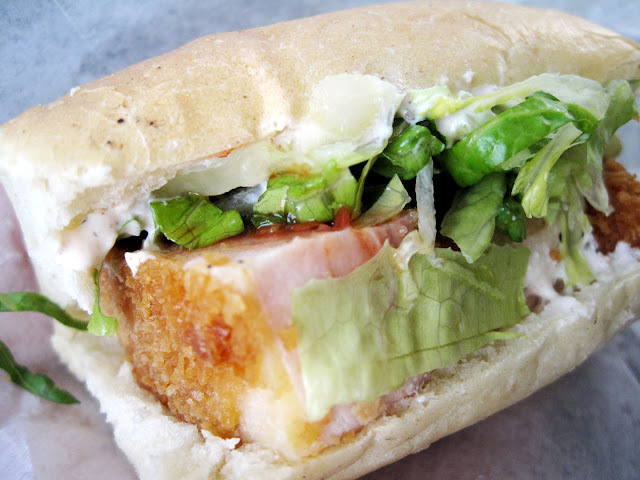 definitely the banh mi because of chicharrones, especially with pickled veggies and jalapenos! 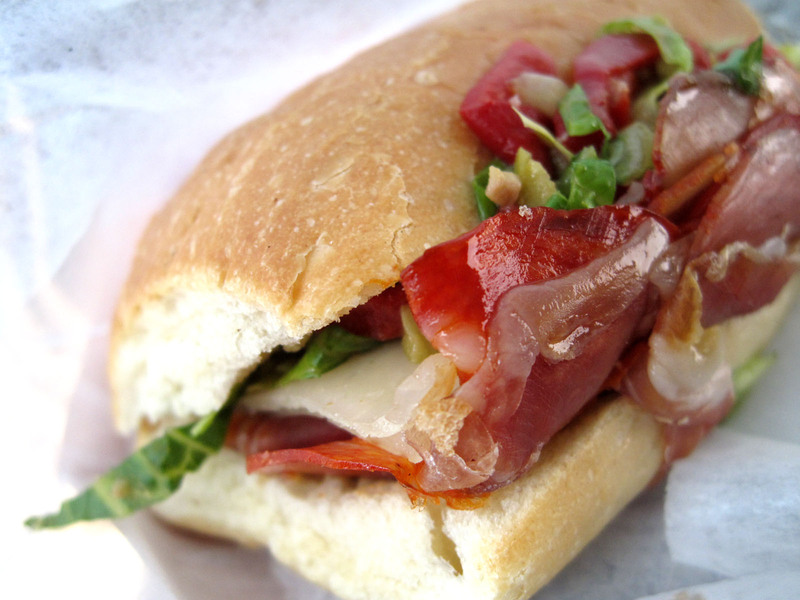 i love lee's sandwiches but they've got nothin' on ink sack's banh mi's . . .
in addition, i tried the penut butter sea salt cookie, but mexican chocolate cookie is my pick! Great post! I love top chef. It's one of my favorite show. OMG - this is one adventure I wish I was one! That spicy tuna sub is to die for! But everything else is drool worthy too! ohhh! 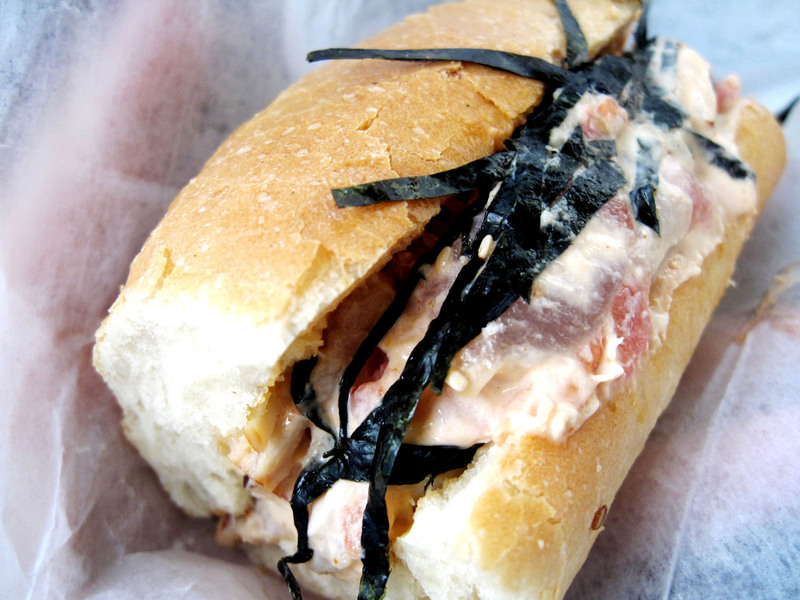 have you tried & liked the spicy tuna sandwich? it sure was ONE OF A KIND!!! loved it! ;)are you located in la too? 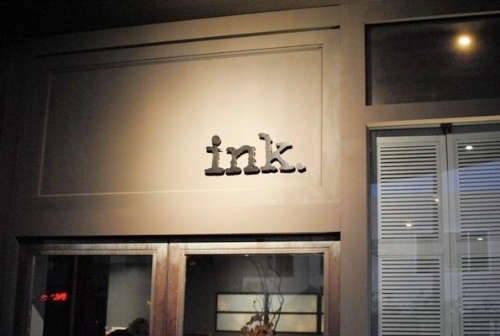 Love the name- Ink. Very catchy. haha. The tuna dish looks delicious. Thanks for stopping by my page. I am now following you. 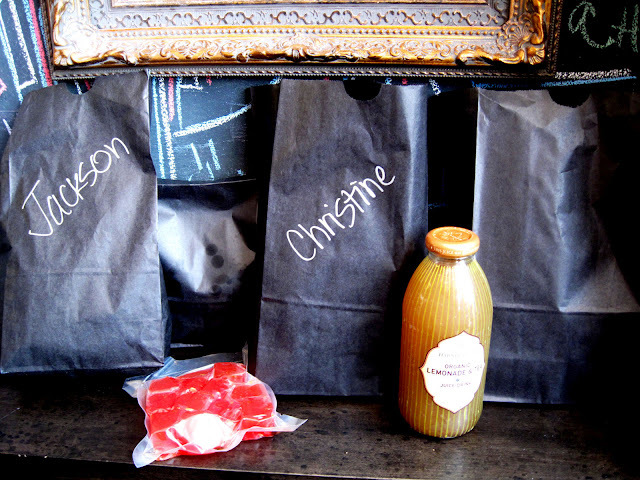 Yum those sandwiches looks so good and the concept is so fun. No, I am not from LA but my relatives are and have tried this sub. I can't wait to visit them to eat it! Have a great weekend my friend! ty, jasmine! :D flying over right now! Wow, that looks spectacular! 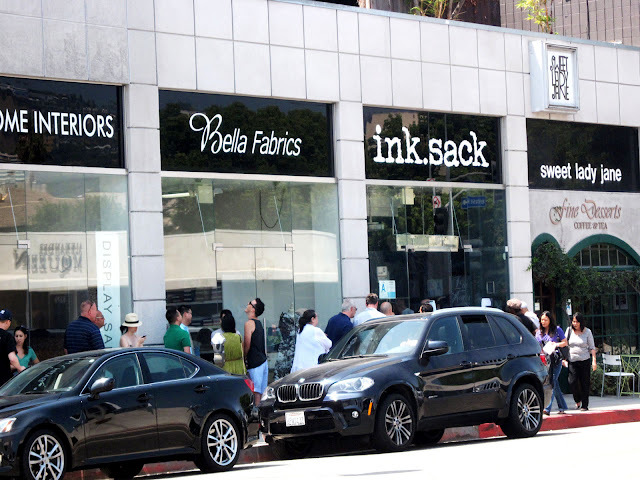 If I am in LA, I will have to try it out. woooo!!! so glad you liked it!!! where are you located, phoebe?